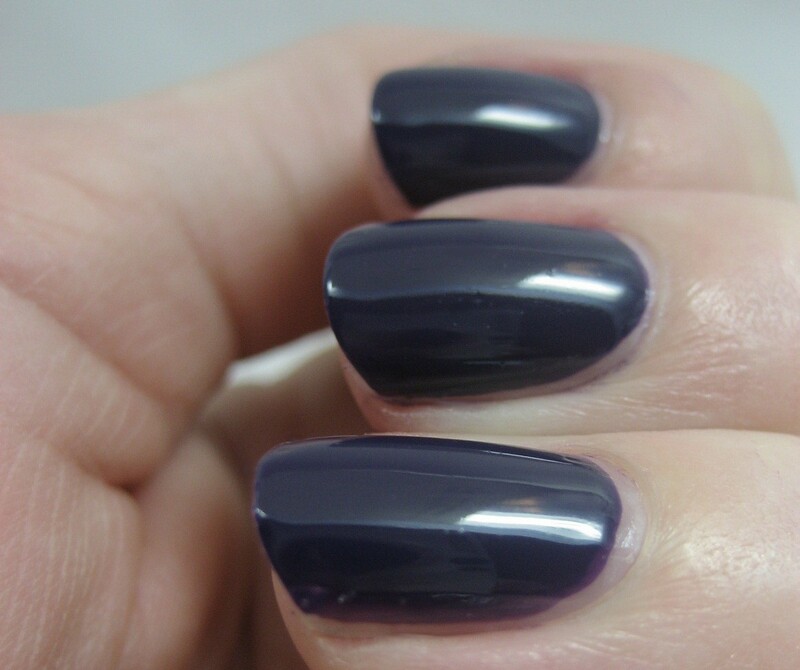 I took a break from this year's holiday collections and went with one from last year for my nails last week: OPI's Sapphire in the Snow, a dark blue violet (a.k.a. blurple) creme. It pulls more blue on me than purple; these photos are pretty close, at least on the monitors I've viewed them on. I used two coats of this one. Again, work kept me from changing polish midweek, though I did have to touch up some chips on day three. This is the second time I've used Orly Nailtrition under Salon Sciences Instant Artificials as my base and the second time I've had chipping earlier than I would have expected, so it seems those two don't play nicely together with my body chemistry. This is a pretty purple. :) I love how it looks so creamy on your nails. This is my biggest lemming EVER!!!! SO beyond pretty! Sooo pretty. It looks gorgeous with Lippmann TWAF over it. That would look so pretty with silver glitter over it! I'm picturing it now in my head! Such a pretty colour! I bet it would look great with some glitter on top! Nossa!!! Esse é lindo de viver!!! Feliz Natal para você e que o Ano Novo seja repleto de Paz, Saúde e Amor!